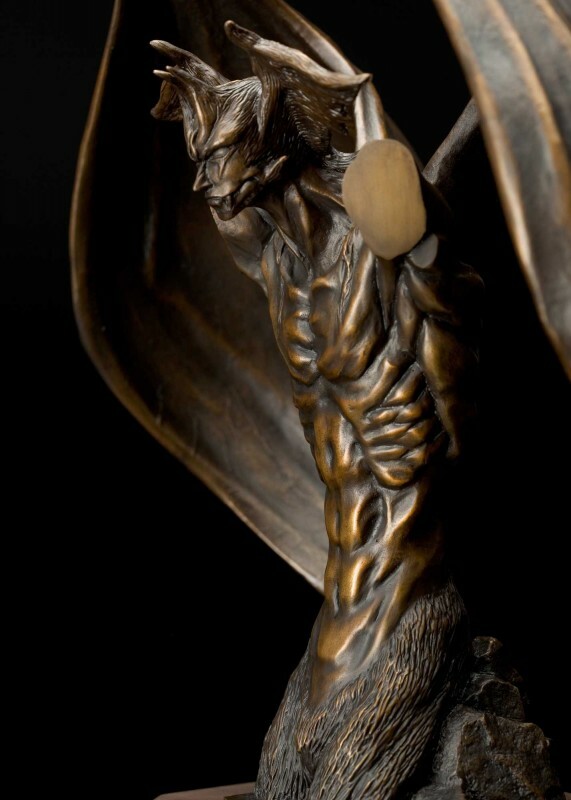 Bronze Devilman Statue-40th Anniversary Project | NAGAE Ltd.
What is ‘Gouma Jyoudou Zou’? This Devilman statue is inspired by Buddha’s life. His life was divided into eight phases. The final phase to achieve enlightenment is called ‘Gouma’. A legend says that as the about-to-be Buddha, Siddhartha Gautama, sat in meditation, a demon, Mara sometimes called the Lord of Death, sent vast armies of monsters to attack him. Siddhartha sat still, untouched, and defeated them. Then, he realised enlightenment and became a Buddha. ‘Gouma’ means to subjugate demons who try to prevent people from being enlightened. ‘Jyoudou’ means to achieve enlightenment through the hash training. Devilman is a Japanese manga series written and illustrated by Go Nagai. In the story, Devilman championed the cause in chaos. He had many battles with the demon hordes. He encountered many foes such as Sirène the demon bird and a large turtle-like demon called Jinmen. Fighting back against demons to protect human, he ironically found he fought demons that were corrupt figure of human. Though he lost his loved one through battles, he decided his final war against demons. Such his images would be synchronised with ‘Gouma’ of Buddha. This bronze statue ‘Devil Man – Gouma Jyoudou Zou’ will become the symbol of high-mindedness, strong will power, and courage for people facing confusing circumstances. We ship your order directly from Japan. Please note that it takes time to delivery, as this product will be produced after confirming your order. What does the bronze look like? 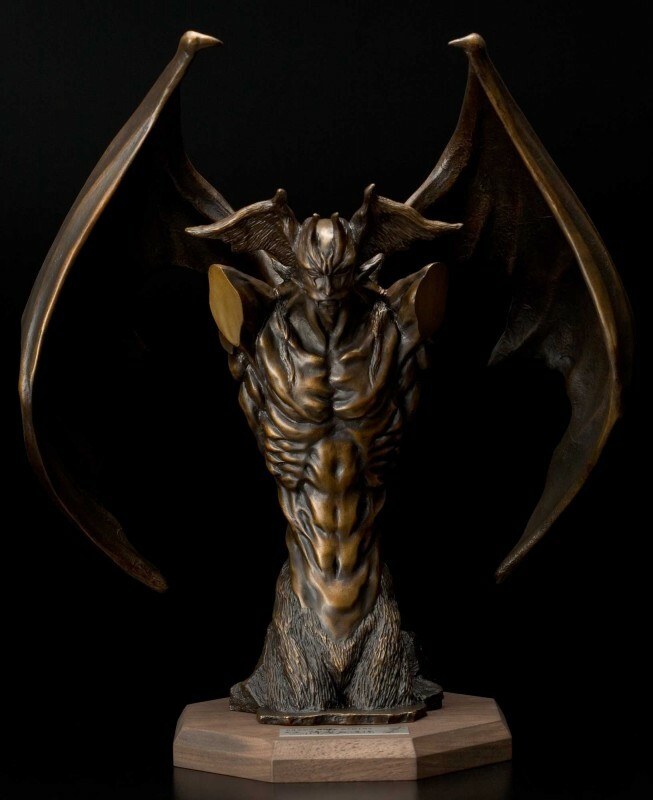 The Ultimate Devilman Bronze Statue, shaped by high-level casting technique that has a history dating back 400 years in Takaoka. 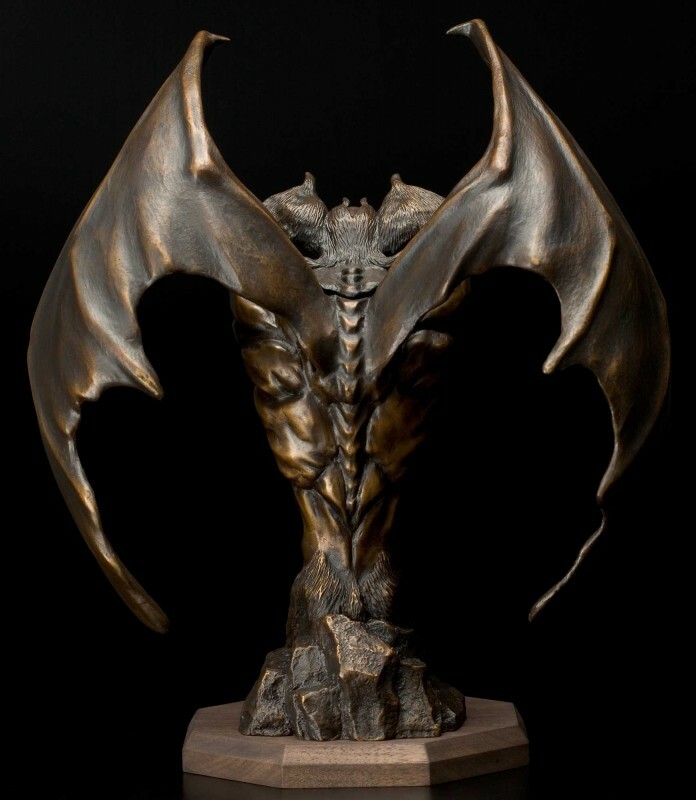 Calmness and dynamics, fierceness and gentleness – the Devilman bronze statue changes its atmosphere depending on the angle of viewing. Every single part of the state creates a vivid and magnificent atmosphere as s guardian god. Why is this a seated statue? As most of ‘Gouma Jyoudou (降魔成道)’ statues are a seated state, this Devilman statue is also with seated but it looks a standing statue when it is seen from the front. Though the back of the statue is usually not seen, the designers strived for authenticity on every last detail. Detailed structure and masculine describes intense battles he had through. Its base, made of walnut tree, is attached with the plate of the writer’s autograph. 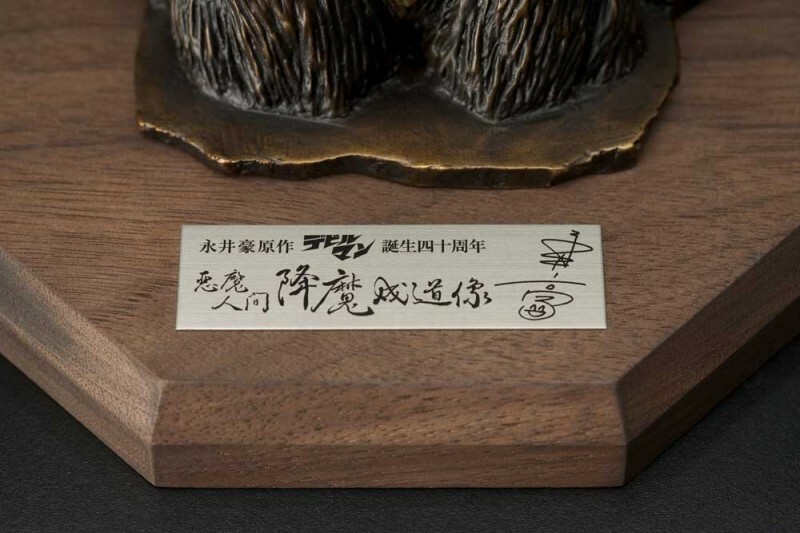 Also, we issue a certificate that proves the statue is produced under the supervision of Mr Nagai.